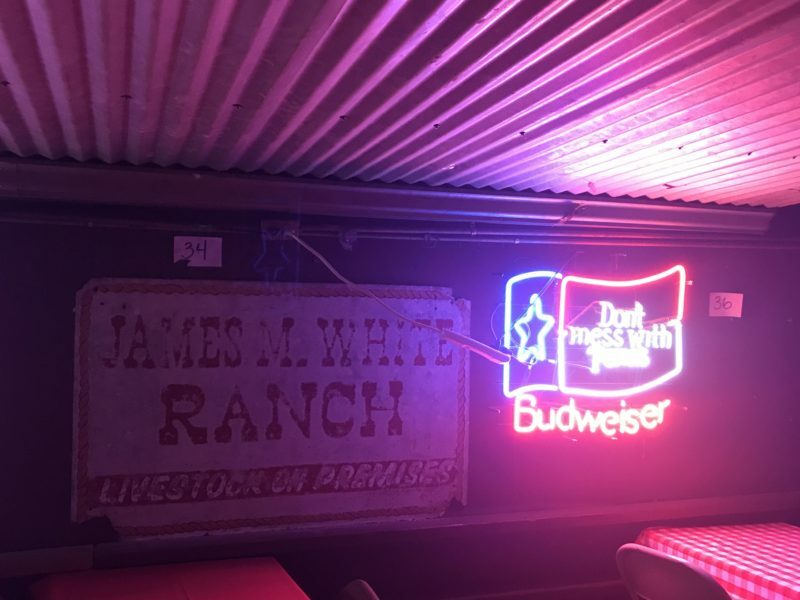 Are neon beer signs considered design? 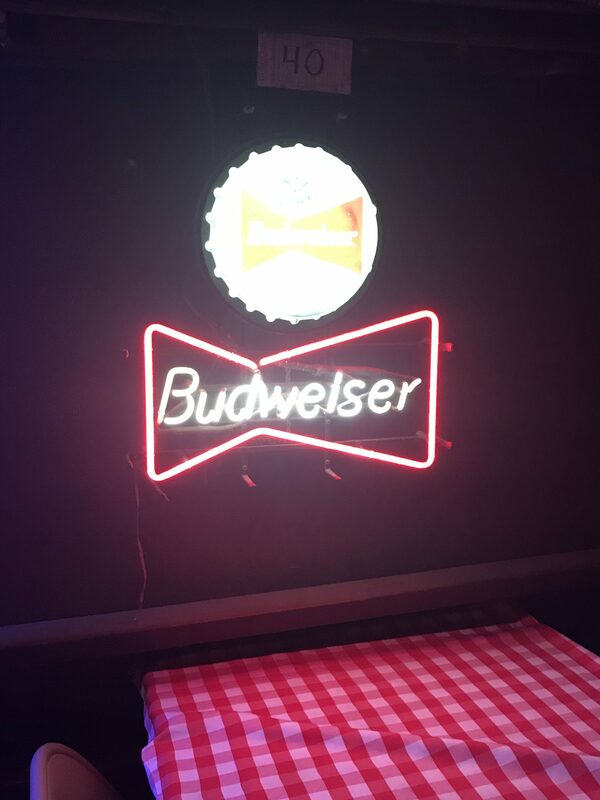 Are neon beer signs considered design? Because if so, this is one the best designed beer joints I’ve ever seen. If you’ve lived in Austin for more than 5 minutes you’ve definitely heard of the Broken Spoke, but if you haven’t been, you need to go. This place is a national treasure, it’s been around since 1964. The stage has been graced by pioneers of country music such as Willie Nelson and Bob Wills, all the way up to local musician Dale Watson and even Garth Brooks, who played there for SXSW in 2017. 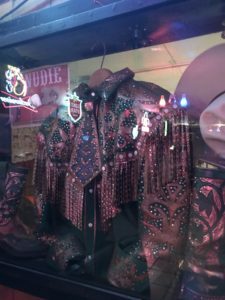 There was a documentary made about it called Honky Tonk Heaven and a book written about it called The Broken Spoke, Austin’s Legendary Honky Tonk. 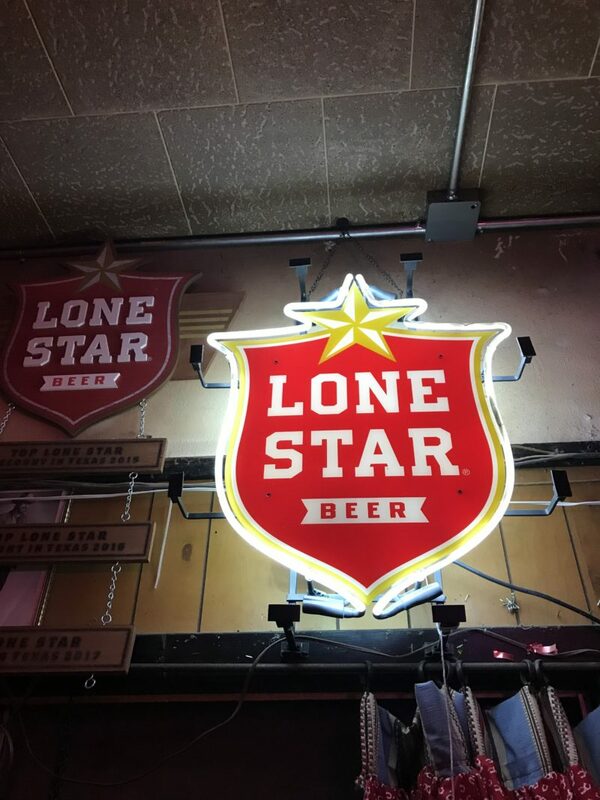 Step out of the blazing Texas heat, and into a dark bar filled with neon beer signs and low ceilings. 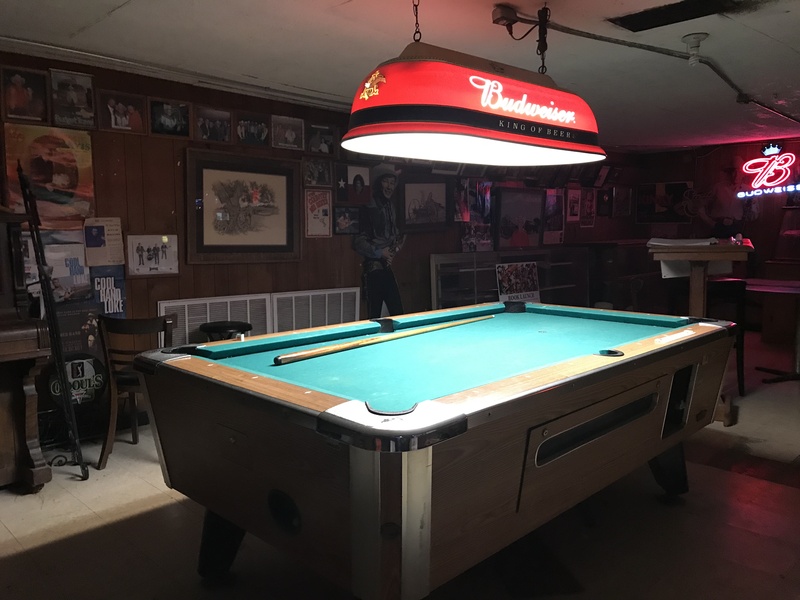 The front room has a pool table and dining tables topped with checkered tablecloths; pretty standard in Texas. 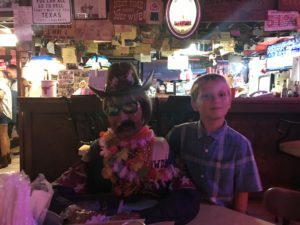 Maybe not so standard is the cowboy mannequin always sitting at the table by the bar, he is ready to party! Order a drink from the bar and you will be greeted by an eyeful of signs telling you not to sass the bartender, and letting you know where you can go if you do. It’s all in good fun as the staff is always friendly. Take a seat and do yourself a favor and order some chicken fried steak. Before you head back into the dancehall, take a restroom break. 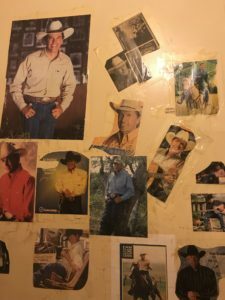 For the ladies, this involves an entire bathroom, plastered with photos of George Straight, who got his start at the Spoke, and is co-owner Annetta White’s favorite country musician. 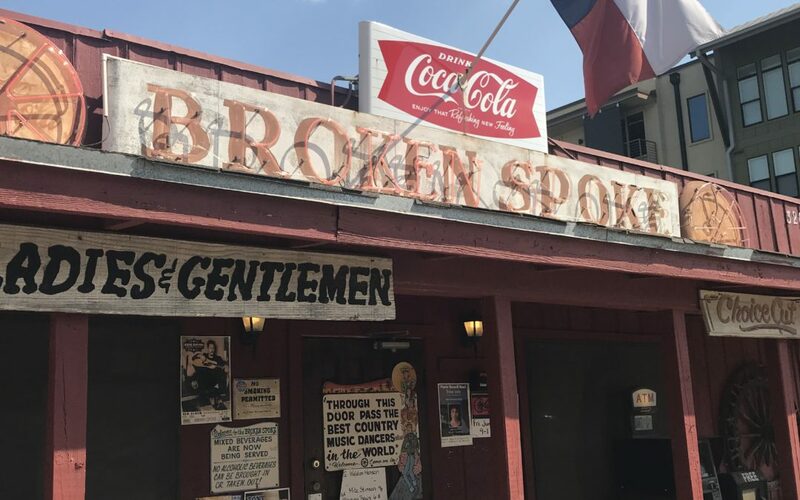 As you head to the back, you will pass by a museum of photos and artifacts of Broken Spoke history. Don’t pass this up. Black and white photos of owner James White with Johnny Cash, Dolly Parton, Kris Kristofferson, Ray Benson; the list goes on and it is a who’s who of country music legends. James White is a big presence himself, always wearing his rhinestone shirts and big cowboy hat, he often greets people coming into the dancehall and he is happy to have his photo taken with you. They offer dance lessons on Saturday night, taught by Terri White, daughter of the owners. I would also highly recommend this. It’s really fun, but be prepared, Terri is not PC. In her world of two stepping, men are still the boss. Just play along, the lesson is only for an hour. I didn’t get any better at “following” my husband, but it was a hoot anyway. 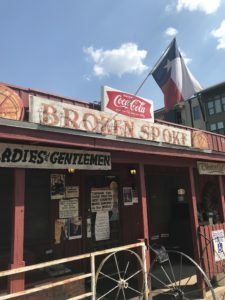 If you are a tourist, or if you’ve lived in Austin all your life, The Broken Spoke is a must. 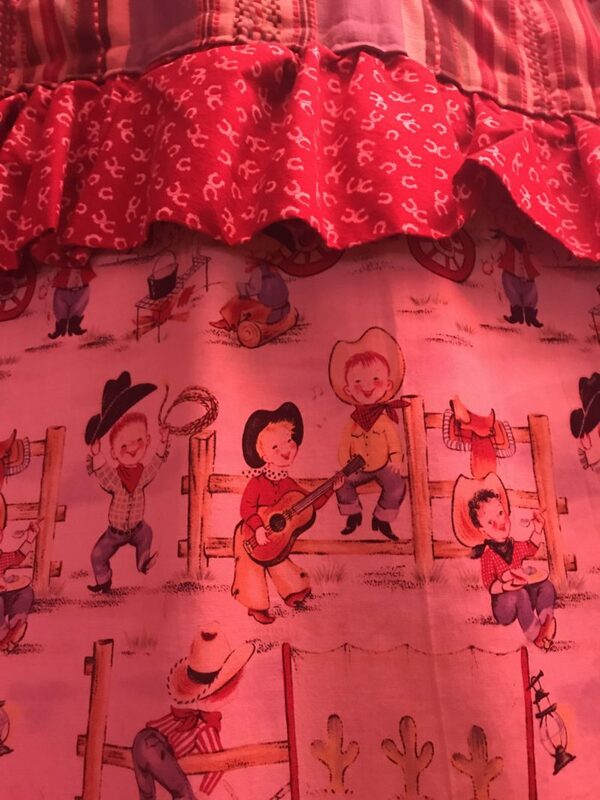 Even if country music isn’t your jam, go anyway. You won’t be disappointed, and if you are, well, let the signs at the bar tell you where to go. 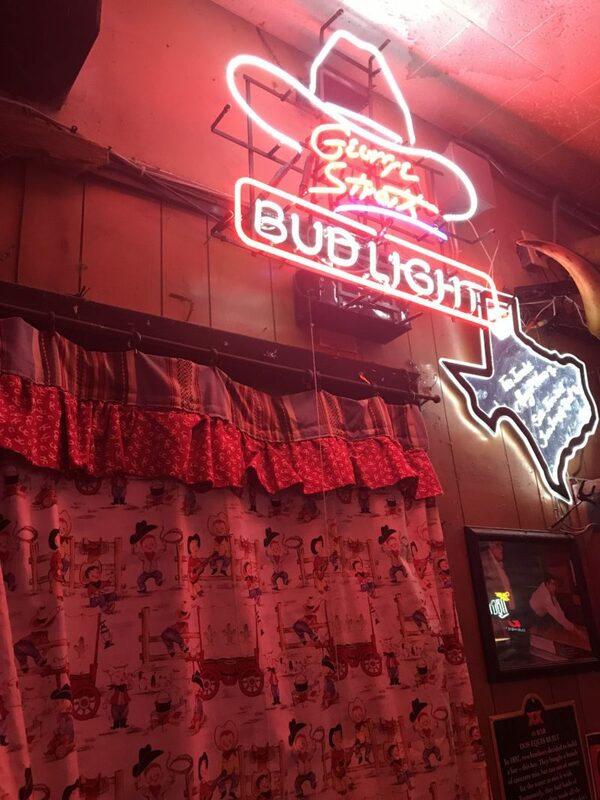 There is nothing but pure Texas at the Broken Spoke. I love this place. and…yes …neon is design.